“The enmity is over. The picture is a military one: ‘Cry to her that her warfare is ended.’ As God comes near, his hands are not rolled into fists. They are open, arms extended to you in an offer of warm embrace. Our sin has created enmity with God. As Paul would say, we ‘were by nature children of wrath, like the rest of mankind. But God …’ (Eph. 2:3b-4a) … The enmity is over–be at peace! The guilt is gone. 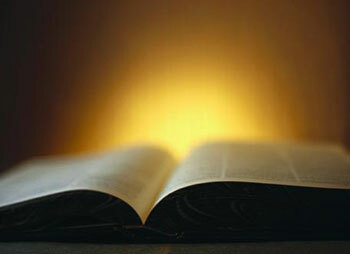 The picture is a judicial one: ‘that her iniquity is pardoned’ (40:2). God’s countenance toward you is not condemnatory. God wears a smile as he looks upon you … The guilt is gone–be at peace! The payment is complete. 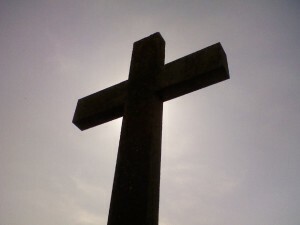 The picture is a commercial one: ‘that she has received from the LORD’s hand double for all her sins’ (40:2). … The picture here is of a lavish grace. A simple correspondence of the sacrifice to the sin would have been sufficient to set our hearts free. And Christ did indeed offer just what was needed for our sins. Yet the perfect sacrifice of the God-man Jesus Christ is not only sufficient, but abundantly sufficient for our debt … The payment is complete–be at peace!” (Pathways to Peace, pp.73-76). “We all have our dreams, aspirations and ambitions. But has it ever struck you that the only glory you can ever bring to God is to do His will, in His way, in His time, by His strength? I can’t give God glory by doing your job. You can’t give Him glory by finishing my assignment. 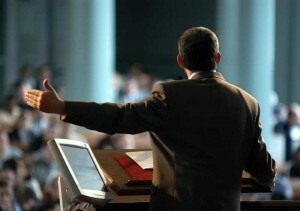 Neither one of us can glorify God by doing Billy Graham’s duty. 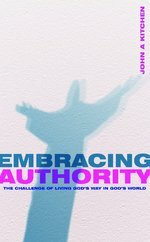 Here’s your chance to win a free copy of my book Embracing Authority. The first three people to post an (honest, but not necessarily positive) review of one of my other books on Amazon.com and send me the link (along with their address) will receive a copy of the book. See my contact page for my email information. Check back again for other opportunities to win one of my books. UPDATE: Thanks everyone. The giveaway has closed. Watch for future opportunities!